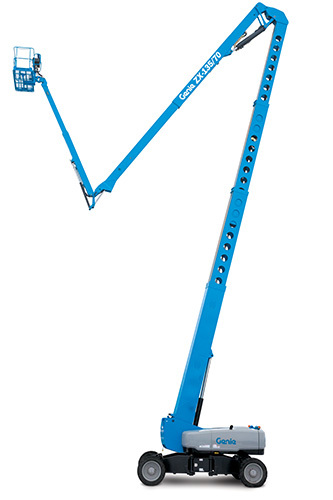 Genie has unveiled a new version of its largest articulating boom lift. 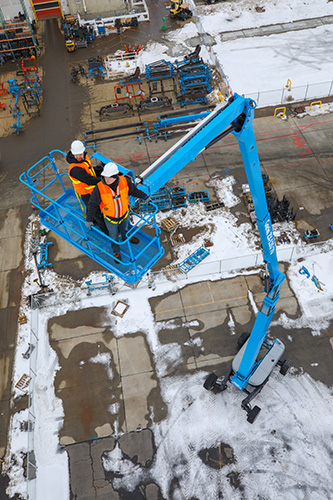 Designed for construction sites and outdoor industrial applications, the Genie ZX-135/70 sets a new industry standard in the large articulated boom segment. Providing a maximum working height of 41.1m and market-leading outreach of more than 18m, it has a great working envelope and superb “up and over” capabilities. The ZX-135/70 features Genie’s new mini XChassis with retractable axles, which provides a compact stowed footprint of just 2.49m x 4.11m, making it easier to transport. The axles extend to 3.94m x 4.11m for increased stability during operation. Other new features include a platform load-sensing system, and a simple, two-point calibration process that enables setting up the primary boom, secondary boom and job in as little as 15 minutes. 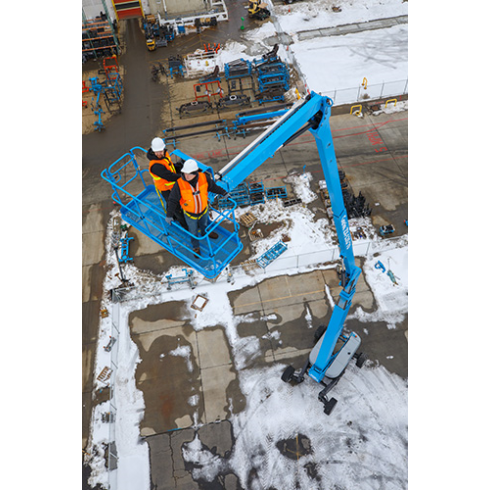 The Genie Fast Mast system allows the operator to lower the platform to the ground without having to lower the secondary boom, enabling much quicker descent. Productivity is further enhanced by a telescopic jib which extends from 3.66m to 6.1m and provides a 110˚ vertical range of motion. As you would expect with a Genie boom, the ZX-135/70 has superb rough terrain performance, thanks to 4WD with full-time positive traction and four-wheel brakes. Options for additional manoeuvrability include four-wheel steer with front-wheel, rear-wheel, crab-steer and coordinated-steer. Genie’s intuitive control system offers menu-based adjustments for machine and component calibration as well as on-screen, multi-language system diagnostics. For ease of service, maintenance and repair, it also features a design, parts and accessories common to other Genie booms. For information on pricing and lead times for this exciting new product, contact authorised Genie distributor, Access Platform Sales. 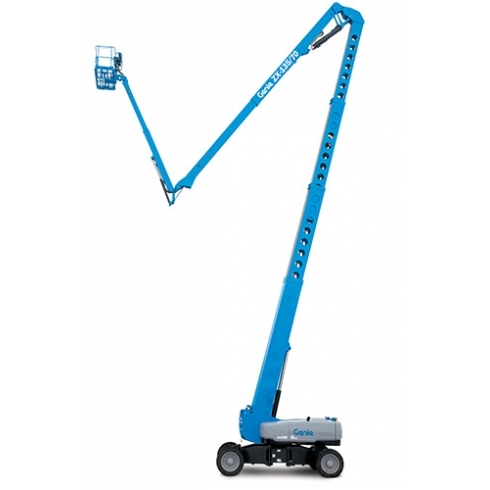 We sell the full range of Genie products, including Genie push-around lifts, Genie booms, Genie scissors, and Genie material lifts.